Rubber sheet flooring’s excellent resilience, endurance and dimensional stability, makes it the obvious choice for all your flooring needs. 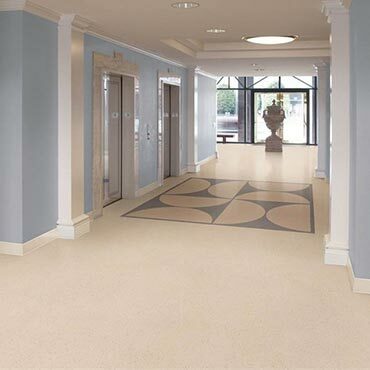 It provides maximum underfoot comfort with a high aesthetic appeal. It is more comfortable to walk on than other hard surface flooring. Rubber flooring products also minimize the noise created by footsteps and wheeled traffic. Rubber sheet flooring is highly slip retardant and can mitigate the risks of slips and falls in high traffic areas. It is recommended for areas such as ramps, restrooms and concourses. Due to its soft rubber base it acts like anti-fatigue flooring, making it the ideal choice also for school, hospitals and gymnasiums. Rubber sheet flooring offers an exciting contemporary look suitable for schools & hotel lobby corridor, lifts, shops & commercial complex. Rubber sheet flooring saves your money as maintenance cost is very less compared to most of the other flooring with hard surface floorings and carpets. It is scratch resistant and can be cleaned easily with widely available cleaners. There is no need for waxing, polishing, scrubbing, sanding or refinishing.